The Maritime and Port Authority of Singapore (MPA) is pleased to support Wilhelmsen Ship Service and Airbus in their pilot trial of deliveries from shore to vessels anchored off the coast with an unmanned aerial system (UAS), in the second half of 2018. Wilhelmsen Ship Service and Airbus announced on 5 June 2018 that they will be collaborating on an experimental project to deliver spare parts, documents, water test kits and 3D printed consumables via Airbus’ Skyways UAS to vessels at Singapore’s anchorage. This trial is a culmination of over a year of planning and collaboration between the two companies, with support from the MPA. Please refer to Annexes for the companies’ releases. 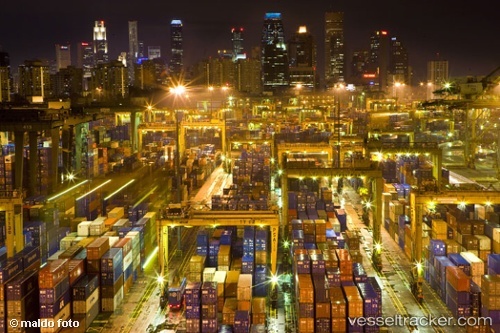 Royal Boskalis Westminster N.V. (Boskalis) has received a Letter of Award from the Maritime and Port Authority of Singapore (MPA) for the port development project Tuas Terminal Phase II in Singapore, also referred to as Tuas Terminal Finger Pier 3. The contract value for the consortium, including Penta Ocean Construction Company and Hyundai Engineering & Construction Company, is approximately SGD 1.46 billion. Boskalis' share in the consortium is 30% with a corresponding contract value of approximately EUR 300 million. The contract is expected to be finalized in the next few weeks after the Chinese New Year. The Tuas Terminal Phase II development is a part of the Tuas Port project and includes the design and construction of 387 hectares of land reclamation works bounded by 9.1 kilometers of caisson walls. The nearly 30 meter high caissons designed for this project will be amongst the largest ever used in the world.